Hakanaï is a cutting-edge choreographic work that features a live solo dancer surrounded by a cubist landscape of moving digital images. 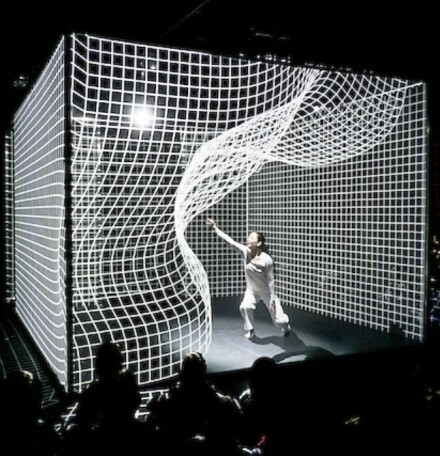 Performed by a dance artist as a “digital score”, it is generated and interpreted live. The imaginary landscapes of Hakanaï are created using one dancer, an artist/director producing the digital images, and a soundscape mix of electronic music, acoustic instruments and environmental sounds. In fact, directors Adrien Mondot and Claire Bardainne describe their use of graphic elements in Hakanaï as digital writing with musicality.